11 November 2007: The Texan city of Houston is noted for its oil wealth, social conservatism and cosmopolitan appearance. Its city chief Bill White was re-elected for a third term with massive support in 2007 and is even rumoured to be seeking the state or a national political office after, due to term limits, he will have to step down as mayor in 2009. Update December 2009: Annise Parker elected as Houston's new mayor. Mayor White was born in San Antonio in 1954, the child of schoolteachers. He then attended Harvard on a scholarship, where he graduated in economics. After studying law at the University of Texas at Austin, where he edited the college law review, White joined the Houston practice of Susman Godfrey LLP, eventually becoming partner. After 14 years with the firm, he joined the Clinton administration in 1993 as Deputy Secretary of Energy, leaving two years later to take on boardroom duties in the private sector. He also served as state chairman of the Democratic Party in Texas during this time. Immediately prior to running for mayor, White was serving as Chairman and CEO of the WEDGE Group, a Texan real estate developer. 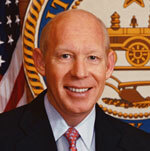 In 2003, the Democrat Lee Brown stood down as mayor, prevented by the city charter from seeking a fourth term. A former New York Police Commissioner, Dr Brown was Houston’s first Afro-American mayor and also served in the Clinton administration as ‘Drug Czar’. In his 2003 election bid, White stood as a moderate Democrat, winning against the Cuban American Orlando Sanchez, who had received President Bush’s endorsement in the previous election against Brown. White was then handsomely re-elected on the first round in 2005, with 91% of the vote. Houston is one of the fastest growing cities in the US and the largest without zoning restrictions. In 2004, its METRORail system went into service, ending Houston’s status as the largest US city without a rapid transit system. While in city hall, Mayor Brown oversaw the completion of the system, despite originally campaigning against it. In 2003, a city referendum was held on the further expansion of the system, with 52% voting in favour. Critics argued that the campaign for expansion had been bankrolled by contractors who stood to benefit from the planned works. The system will connect the city centre with the George Bush Intercontinental Airport, as well as the suburbs. White’s record at city hall has been praised for the expansion of council-run leisure facilities and the introduction of performance monitoring. 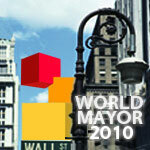 Most importantly, he has presided over stable finances and sought to promote consensus on the city council. The mayor was also praised for his leadership in the wake of Hurricane Katrina, providing resources for the housing of the many* displaced New Orleans residents who had come to the city fleeing disaster. He also took a robust line against the incompetence of the Federal Emergency Management Agency officials’ recovery efforts. The mayor’s work has marked him as a potential future governor in the eyes of many party officials and local observers. Under its city charter, Houston is governed by the mayor-council model, with 14 city councillors elected from either nine districts on an at-large basis. All elections to the city council are held on a non-partisan basis. Houston’s mayors are limited to three two-year terms, as are city councillors. In the last election, some candidates spoke out against the term limits and called for either a doubling of terms or scrapping them altogether. Comment by Toni Mack: “Many” understates the matter. Houston took in 250,000 Katrina evacuees  creating a 6% increase in Houston’s 4 million population in a matter of days  of whom some 100,000 remain. This was a massive relocation. Mayor White deserves credit for handling this influx in as orderly a manner as can be imagined.